A delicious and nutritious fall and winter side. 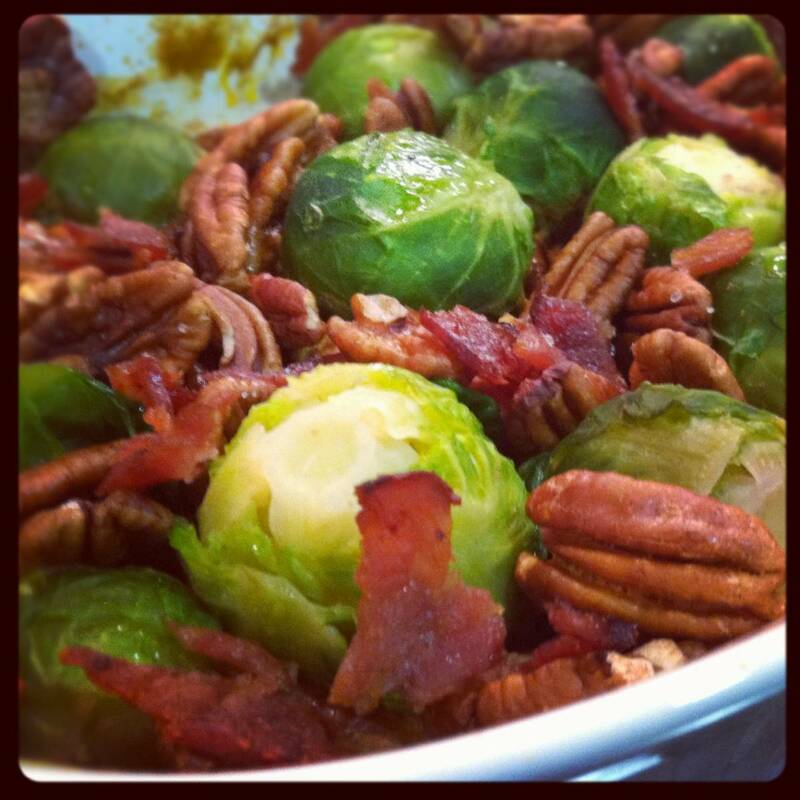 A great dish for your holiday tables, I'm taking this to our Thanksgiving gathering! Brussel Sprouts are in the cruciferous vegetable family and provide several health benefits through their unique composition of antioxidants. Brussels sprouts are low in calories, while offering protein, vitamins and minerals to support a healthy body. These fibrous veggies also have a reputation for helping to lower cholesterol and cancer prevention. Definitely add these greens to your weekly menu. 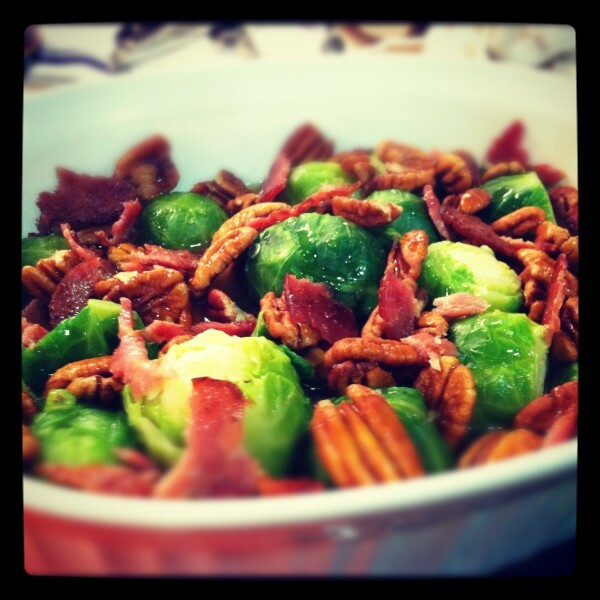 -Add brussel sprouts to boiling water along with a pinch of sea salt. -Boil for 5 minutes; drain. -Place brussel sprouts in a baking dish with pecans, bacon, and stock. -Sprinkle oil and salt on top. -Bake uncovered for 20 minutes.